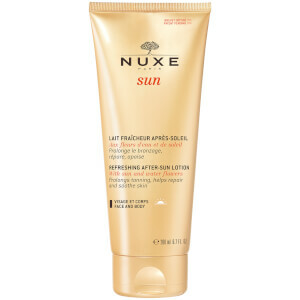 The Tanning Oil Face and Body from NUXE provides sun protection from harmful rays and prevents signs of premature ageing. Its unique formula with sun and water flowers helps you achieve a natural, even tan and leaves a satin finish on the skin's surface, without making you feel greasy. Enriched with nourishing and hydrating ingredients, including rice and rosemary extract, the water-resistant oil delivers an uplifting fragrance with notes of sweet orange, Tahitian Gardenia and vanilla. The handy pump bottle allows you to spray all-over the face and body for easy application. E.N. Alcohol and paraben free. Non-comedogenic. Apply liberally before sun exposure. 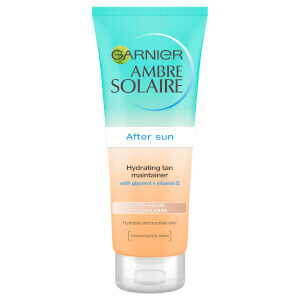 Reapply frequently, especially after swimming or towel-drying the skin. 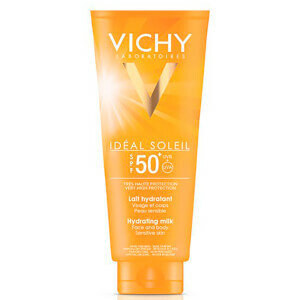 Applying an insufficient amount of product will significantly reduce the level of sun protection. 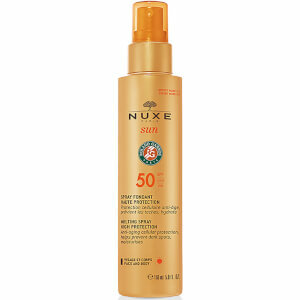 Face: Spray the product into your hands and warm it before applying to your face, avoiding the eye contour area. Body: Spray the product directly onto your body and spread. Warning: Excessive exposure to the sun is dangerous. Avoid exposure in the middle of the day. A suncare product does not provide 100% protection. Do not spray directly onto the face. Great, a dry spray that doesn't feel greasy or clog my skin. This sun oil smells amazing! It’s nourishing, softening and it works. I won’t go back to the high street brands ... not after this. It’s my little bit of luxury! I bought this to keep my skin soft without being too oily. It smells wonderful and seems to protect my skin. Would definitely buy again. Love this product so much!! It is so nice to go on your skin whilst also being one of the highest protectors on the market!! Not only that, it helps you achieve a tan, now for a girl who doesn't tan easily this is a bonus!! Would definitely recommend.